Easy to use, mobile friendly, modern. 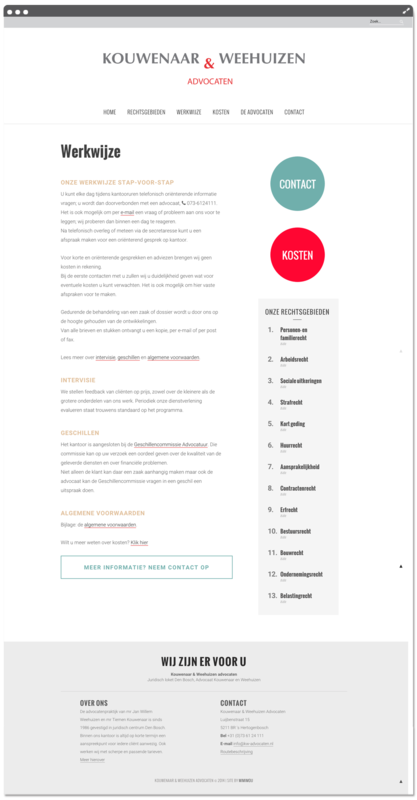 Most law firms have a very corporate website which can alienate clients. 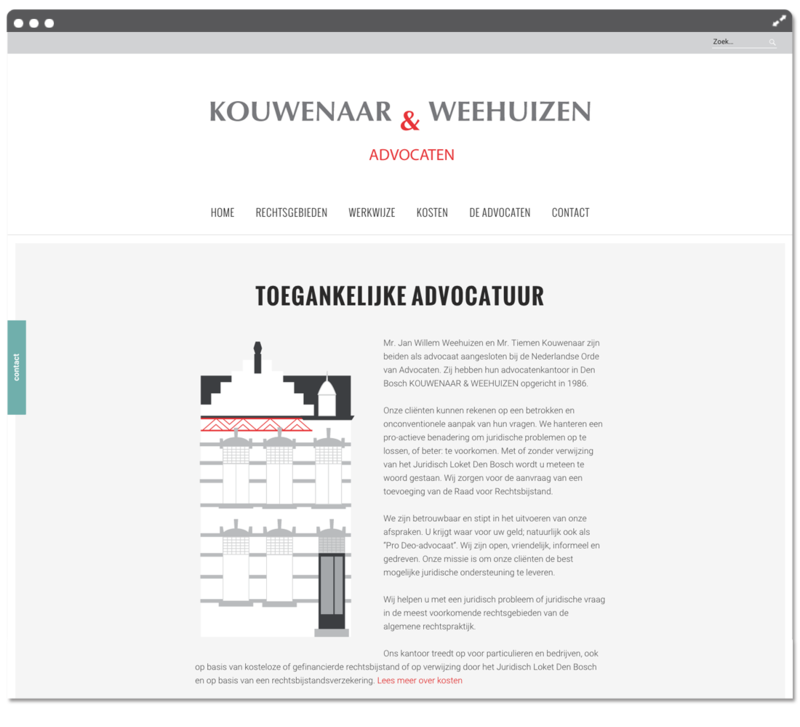 Kouwenaar & Weehuizen is a modern, responsive and approachable law firm with an excellent reputation, and they wanted this to reflect clearly in the design and usability of the website. Tiemen Kouwenaar is wonderful to work with and I truly enjoyed working with him for the second time. Search Engine and Mobile friendly design & development.